¶ 3 Leave a comment on paragraph 3 0 if I had to criticize it in some way, and I’m not, it’s that a person can listen to this song a thousand times and really not be sure what exactly he’s getting at. It’s not obvious, and even after engaging in considerable background research, it’s still not. The song is subject to many interpretations, many lines can be argued in many ways. But that’s part of its beauty. ¶ 5 Leave a comment on paragraph 5 0 So on to the research project. This first question most have, including me, is who the heck was St. Augustine? And right way we run into problems, because there have been several St. Augustine’s. 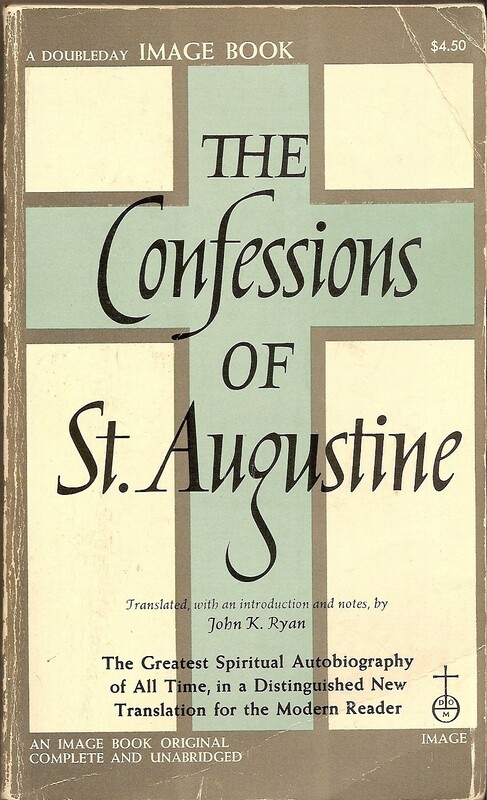 Most likely Dylan had in mind St. Augustine of Hippo, author of the well-known Confessions. Follow this link if you are really interested in knowing – in academic detail – who St. Augustine was. The short answer, from Wikipedia, is below. ¶ 6 Leave a comment on paragraph 6 0 Augustine of Hippo was an early Christian theologian whose writings are considered very influential in the development of Western Christianity and Western philosophy….. 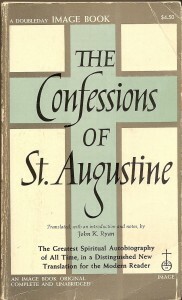 Among his most important works are City of God and Confessions, which continue to be read widely today….. After his conversion to Christianity and his baptism in 387, Augustine developed his own approach to philosophy and theology, accommodating a variety of methods and different perspectives. He believed that the grace of Christ was indispensable to human freedom and he framed the concepts of original sin and just war. ¶ 7 Leave a comment on paragraph 7 0 In the song’s narrator’s dream, he sees St. Augustine running around in a very agitated state, frantically searching for souls that have “been sold”. In the second stanza, he loudly cries that although there no “martyr is among you now” (I would presume this is a reference to Christ), they should know that they are “not alone”. They are not alone, I would think, because Christ is with them in heaven. ¶ 8 Leave a comment on paragraph 8 0 In the the final stanza, the narrator says that he dreamed that he “was among the ones that put him out to death”. Is “he” St. Augustine? Given that Augustine was not put to death, that doesn’t make much sense. Perhaps the “he” refers to Christ? ¶ 11 Leave a comment on paragraph 11 0 I must confess (haha get it confess/Confessions) that these lines – even though I’ve listen to this song a thousand times – never really made much of an impression on me. This is where having a library of Dylan-related books comes in handy. ¶ 13 Leave a comment on paragraph 13 0 When, at the end of the song, he puts his fingers “against the glass” and cries, we might think of the glass through which St. Paul says we see god “darkly”. In other words, it is the separation of God and man and of man from man which, in resisting the Pentecostal fire of Augustine, he was accepted instead. And bowed my head and cried. ¶ 17 Leave a comment on paragraph 17 0 Wilfrid Meller, author of A Darker Shade of Pale, has an interesting take on the song. 2. ¶ 18 Leave a comment on paragraph 18 0 “The song is about guilt – who better to have in the song than Augustine, the author of Confessions”. He also thinks that Augustine is Dylan (“I awoke in anger” and “I put my fingers up against the glass”. ). ¶ 19 Leave a comment on paragraph 19 0 The music of I Dreamed I Saw St. Augustine was clearly based on the well-known folk song, I Dreamed I Saw Joe Hill Last Night, famously performed by Joan Baez at Woodstock. “Joe Hill ain’t never died. ¶ 27 Leave a comment on paragraph 27 0 Joe Hill was a songwriter, itinerant laborer, and union organizer. He became famous around the world after a Utah court convicted him of murder. Hill claimed that he was not guilty, and at least some of the evidence backs him up. Many of the historians came to the same conclusion. 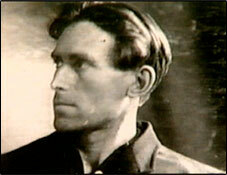 In 1930, Alfred Hayes wrote a poem entitled “I Dreamed I Saw Joe Hill Last Night”. Earl Robinson turned the poem into the song in 1936. ¶ 28 Leave a comment on paragraph 28 0 Dylan doesn’t play this song a lot. The most well-known alternate version was done for the unreleased version of the TV special done in 1976, Hard Rain, a duet with Joan Baez. She makes a quip at the beginning concerning Dylan’s habit of not rehearsing. ¶ 29 Leave a comment on paragraph 29 0 It was also released on the Alternate Self-Portrait, Bootleg Series Volume 10. That version is from the Isle of Wright Festival, a concert Dylan did with The Band. Not a bad version, but like most of the songs done for that concert, it’s a little ragged. “Not in carousing and drunkenness, not in sexual excess and lust, not in quarreling and jealousy. Rather, put on the Lord Jesus Christ, and make no provision for the desires of the flesh” (Romans 13:13-14). Not everything that feels good ends well. “There is a way which seems right to a man, but its end is the way of death” (Proverbs 14:12). Everybody seems to work hard to avoid the explanation of “Double E”. In every analysis of the song I came across the author spends quite a long time guessing what this or that metaphor might really mean but, for reasons unknown to me, goes over the “Double E” as if in fact it wasn’t in the lyrics. Other example of “Double E” in connection with railroads is Warren Zevon’s “Poor Poor Pitiful Me”: I laid my head on the railroad track/waiting for the Double E. Another Double E train is mentioned in “The Liar’s Club: A Memoir” by Mary Karr where one character says that he took a Double E train from Memphis to New Orleans. Furry Lewis’s Jelly Roll you mention seems to me to be another story – the Double E there definitely means something different from Dylan’s (and Zevon’s, for that matter) meaning. But I may be wrong, I am not an American, even not a native English speaker. The fact that meaning of so frequently used term is not known to everybody in the US puzzles me. Thank you. John the Baptist was just a few months older than Jesus, (they were cousins) therefore there is no way for him to have baptised”baby Jesus”. Instead,he baptised Jesus in the Jordan River and they were both adult men. They load ok for me. ? Great food for thought, the whole point of creating this site. I don’t think Gates of Eden has a conventional moral message at all. Dylan never lived by conventional morals. Just because Dylan used Biblical motifs throughout his songwriting doesn’t mean it was to convey a conventional moral message,. I think there is plenty of evidence to conclude that Dylan’s spirituality was not the “believe and obey” authority, clearly defined good and bad, reward and punishment, fear and guilt kind of fundamentalist type of religiosity, but instead it was an individualistic, humanitarian, mystical direct experience of God kind of spirituality. He would certainly use themes from the Judeo-Christian tradition, but always interpreted mystically ,just as Joseph Campbell did. To me, Gates of Eden is the state of being for souls who no longer believe or perceive in an artificial separation between humans, nature, and God. Everything that is outside of the Gates of Eden is for those whose spirituality has not yet developed enough to know that every being, every bit of matter organic and non-organic, the entire universe, altogether collectively is what God is. Website content © the Bob Dylan Commentaries 2019. All rights reserved.